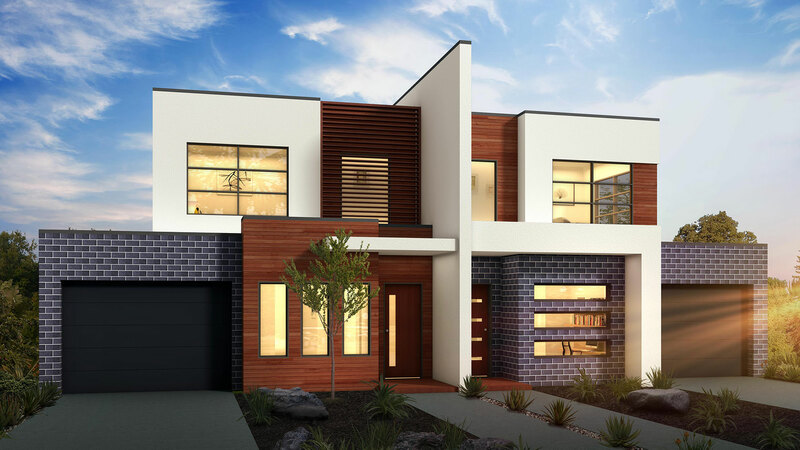 At Berstan we have a long history of creating successful dual occupancy developments. 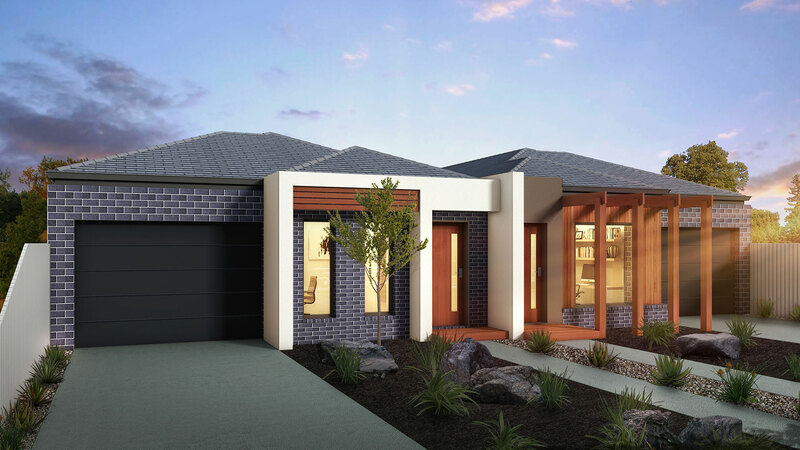 Here are two great examples of how you can add value to your land by subdividing and building a duplex. Feel free to call Berstan on 03 9841 9998 to discuss the possibilities. Here’s a design that would suit many families with a main bedroom located on the ground floor and 2 spacious bedrooms on the first floor. 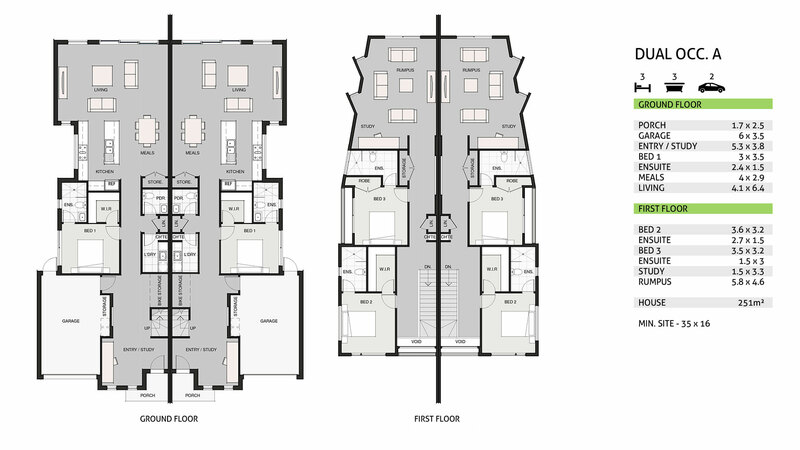 All three bedrooms have their own ensuites and are a generous size. Two study areas are a unique feature of this design, complimented by two living areas, this home is truly multi-functional. To finish it off the modern façade detail wouldn't look out of place in many of the best streets in Melbourne. 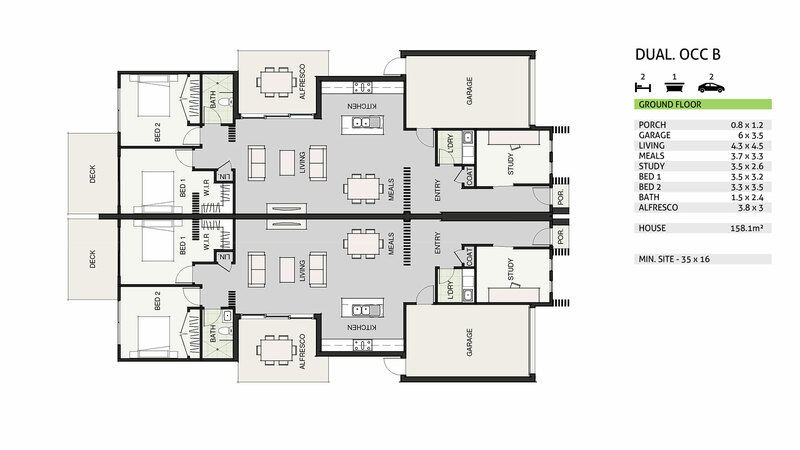 Designed for the downsizer or professional couple looking for a practical house with options. If you work from home this design has a full size office located near the front entrance. The living area opens out to the alfresco for ease of entertaining and creates a real feel of spaciousness. This well designed home has a modern façade detail that would suit most addresses.